Creation of the proposal of conceptual design for the restoration of the old city core of Novi Sad, which will be restored after 70 years, is in the focus of the ‘Open studio for architecture and design’ these days. This ‘form’ emerged from the idea to gather experts from Novi Sad and MA students of architecture from the Faculty of Technical Sciences in order to find the best solution for the restoration of the central city square, through cooperation with Mr Johan Casselbrant, architect from Sweden. The concept and goals of this cooperation were presented in the premises of the ‘Novi Sad 2021’ Foundation yesterday. Restoration of the Liberty Square, Theatre Square, King Aleksandar Street, Modena Street, Njegoševa Street, Ilija Ognjanović Street and many other parts of the city centre is the part of the ‘New Places’ project of the ‘Novi Sad 2021’ Foundation. The aim of the project is to find the best model for the future appearance of one of the most important parts of Novi Sad with connection and involvement of expert public. 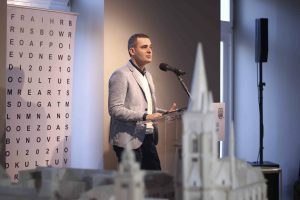 Mr Nemanja Milenković, CEO of the ‘Novi Sad 2021’ Foundation stressed that the ‘New Places’ project is unique itself since it involves citizens and expert public in the decision making process. Restoration of the city centre, as the biggest of three models of the ‘New Places’ project, is the most demanding, which is the reason why important stakeholders in architecture and urbanism of Novi Sad participate in the project, while the European dimension will be achieved through cooperation with Mr Johan Casselbrant, one of the most eminent European architects. ‘The idea of the ‘New Places’ project is based on the principles of European dimension and participation, i.e. 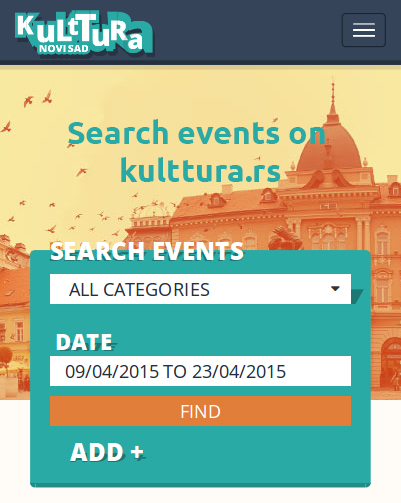 involvement of citizens of Novi Sad in the decision making process. The ‘Novi Sad 2021’ Foundation want to offer new contribution, thus to implement the project that will be modelled upon one used in big European cities, in order to welcome the European Capital of Culture title’, said Mr Milenković. Through the process of combining elements of extraordinary Scandinavian architecture and design of simple, functional, convenient, yet modern appearance that follows world trends, with the urban model of the city centre of the capital of Vojvodina, experts in the field of architecture will offer the project to the City, as one of the possible solutions for restoration of main city square in order to build the centre according to citizens’ wishes. 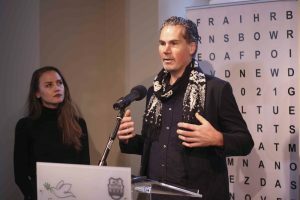 Mr Johan Casselbrant, architect and founder of the famous architectural company ‘Kanozi’, thinks that modern architecture affects people positively and improves the quality of live. ‘When I stepped through the Liberty Square for the first time, I especially liked the energy of the city. Despite it is December, the city is vivid, there is a lot of people and it reminds me of Vienna. I like dynamics of architecture, diversity in construction of facilities of various levels of height and epochs, with numerous passages and streets leading to the very centre. Since I come from Göteborg, I have to say that the year 2021 is very significant both for Novi Sad and Göteborg. In the year when Novi Sad celebrates the European Capital of Culture title, my city commemorates 400 years of its foundation. I am excited that I will have a chance to work with young experts, students of the Faculty of Technical Sciences, Department of architecture and urbanism’, added Mr Casselbrant. Besides students of architecture, representatives of the City Administration for Construction Land and Investments, ‘Urbanizam’ PE Urban Planning Institute, Institute for Protection of Cultural Monuments of the City of Novi Sad, Association of Architects of Novi Sad, as well as representatives of independent architectural scene of Novi Sad will participate in the project. The conceptual design will be presented with innovative approach of new technologies such as virtual reality, when Novi Sad will get a chance to virtually meet with the future appearance of the centre of their city for the first time.